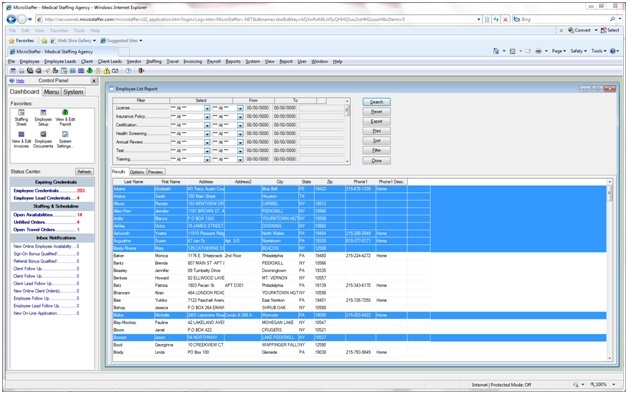 MicroStaffer's reporting component offers user configurable reports for every section of the system. Compose Email lists and perform Mail Merges using MicroStaffer's Merge Composer. Enter single or compound filter criteria. Print mailing labels with the click of a button. Sort on single or multiple columns. Save report formats and filter criteria for often-used reports. Share report formats with other users on the system.